It's always special to re-unite Elen (on left) and Sherri from Madeleine's Bridal. Sherri came to the Chicago Market all the way from Old Town Clovis in California. Take the time to visit her store and beautiful web site. 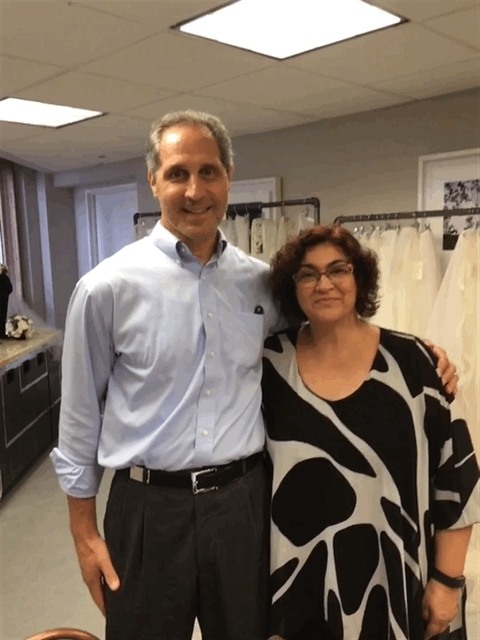 Lisa on left from Lili Bridals & Formals in Tarzana California posing with our model Tanya. 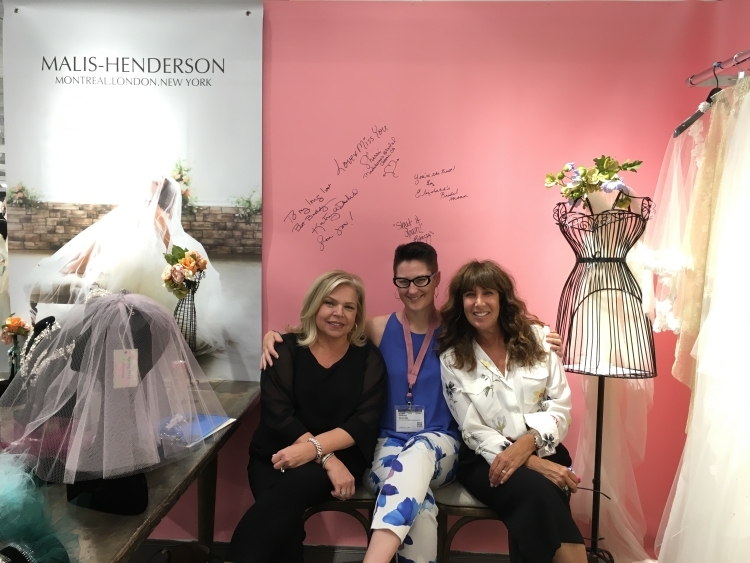 Laura from Lace Bridal in Brandon Missouri (on left) takes a pause from the busy show with Vela. 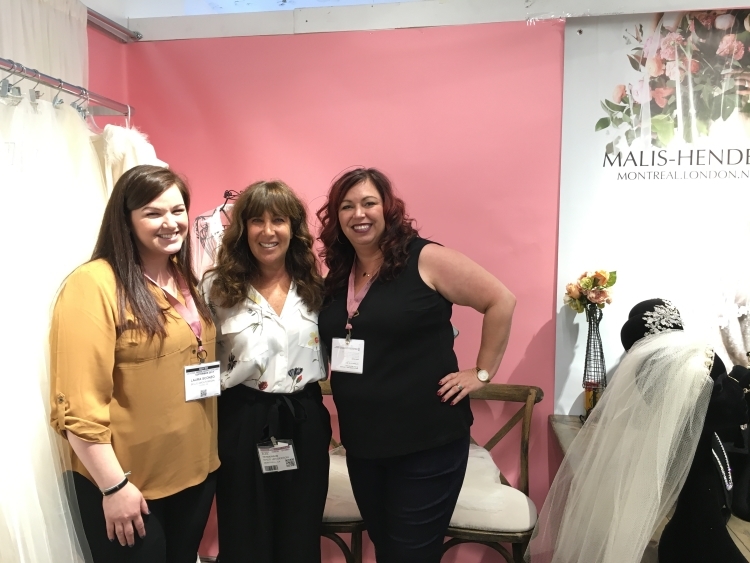 The always fashionable Sara from It's Your Day Bridal Boutique in LaSalle Ontario is flanked by Malis-Henderson's Vela and Elen.